Left column, top: Cecilia with a 'Bolduc' 90 carré secured with a shawl ring in a criss-cross knot. Below: Gina with 'Les Flots du Cheval' with a petite scarf ring in a simple loop knot. 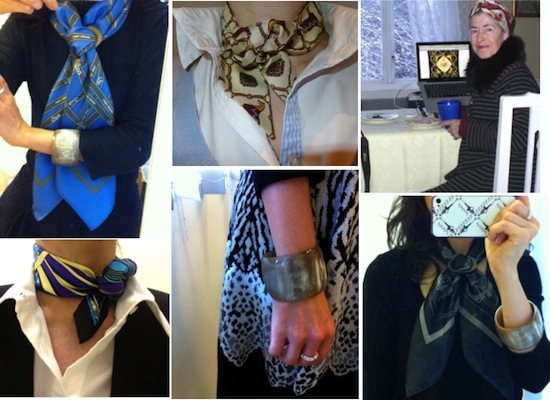 Center column, top: Macs of 'Macs in the city' with a Twilly made by a friend secured tied in a loose Twilly wrap with a petite scarf ring. Below: Cecilia with a horn bracelet in mushroom. Right column, top: Holsby with a 'Imagerie' 90 Carré as a turban, and a scarf fur collar in mocca. Below: Cecilia with a mushroom horn bracelet and an 'Ex-Libris Glam' 70 Carré in the basic slide, secured with a Grande scarf ring. Left column, top: Macs of 'Macs in the city' with a ' Poneys de Polo' 90 Carré and a SAGA fox fur collar in marron. Below: Catherine with a 'Laboratoire du Temps' 90 Carré and a Faux Fur scarf collar in gris. 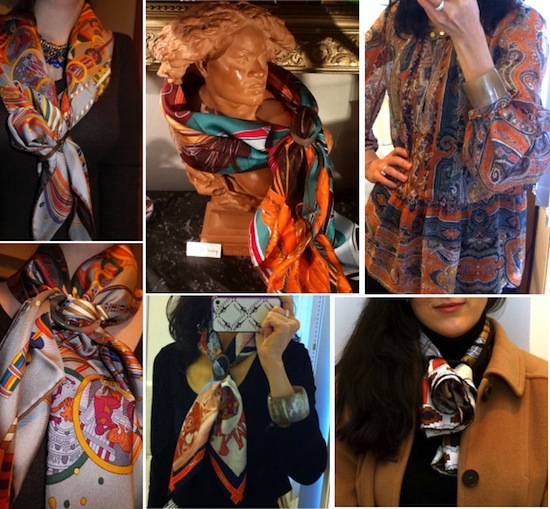 Center column, top: Gina with a 'La Danse' 90 Carré in a cowboy knot, with a Grande scarf ring in sunshine honey. Below: Manuela with a 'Au Claire de la Lune' 90 Carré in a cowboy knot, secured with a moyenne MoP scarf ring. Below: Johanna with a 'Cuirs de Désert' 90 Carré, secured with a Grande light MoP scarf ring in the basic slide. Right column, top: Elizabeth with a 'Les Voitures A Transformation' 90 Carré secured in with a sunshine honey shawl ring in the basic slide. Below: Manuela with a Mors et Gourmettes' 90 Carré, secured with a black horn shawl ring in a criss-cross knot. Left column, top: Christina with a SAGA fox fur collar in taupe and a 'Carré en Carré' Cashmere shawl. Below: Johanna with a 'Cuirs de Désert' 90 Carré, secured with a Grande light MoP scarf ring in the basic slide. 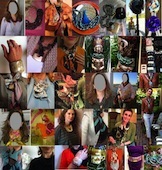 Center column: Cecilia with a horn bracelet in mushroom. Below: Manuela with a 'Au Claire de la Lune' 90 Carré in a cowboy knot, secured with a moyenne MoP scarf ring. Left column: Johanna with a horn bracelet in black, and a 90 Carre secured in a basic slide (wound once around the neck before hand), with a Moyenne scarf ring in black horn. 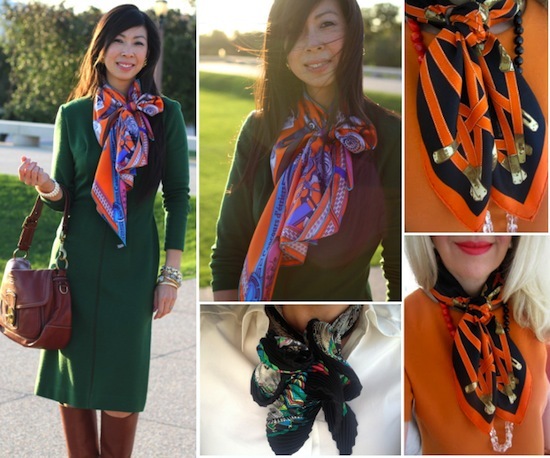 Center below: Heather of VintagefrenchChic with a horn bracelet, and a grande MoP scarf ring (scarf in the basic slide). Right colum top: Johanna as before. Bottom: Isa's 'Pourquoi naître esclave?' by Jean Baptiste Carpeaux with a 'Le Laboratoire du Temps' 90 Carré and Grande scarf ring in light MoP. Left column: *Chanel* with a 'Le Laboratoire du Temps' 90 Carré secured with a Grande scarf ring in honey. Center column, top: Isa's 'Pourquoi naître esclave?' by Jean Baptiste Carpeaux with a 'Wa Ko Ni' 90 Carré and Grande scarf ring in light honey. Below: Cecilia with a 'J'aime mon Carré' 70 Carré in a vertical slide, secured with a Grande scarf ring, and a horn bracelet in mushroom. 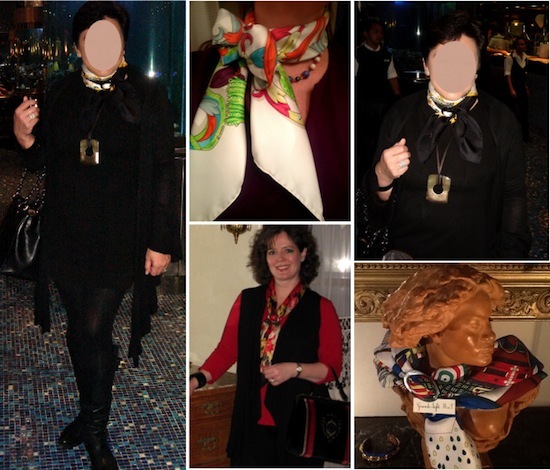 Right column: Marla in the OC with a curry horn bracelet, and two 'Piqué Fleuri de Provence' Gavroches tied together with a petite scarf ring, and then knotted into a mens tie knot. For anyone who would like to participate in collage #8, please email your photo to maitaicollection@orange.fr, along with info on how you would like to be credited. Looking forward to hopefully many contributions! Wow, what a feast for the eyes! Beautiful collage MaiTai. After your posts on the Rendez-Vous Rive Gauche (April 3rd sealed the deal) I had to pick one up too, same cw. Thank you for your kindness in including me again in your lovely collage, my dearest MaiTai. It is with a great joy I wear all your products<3 I love them all!! 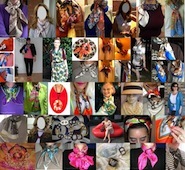 It is also interesting to see how the other ladies wear theirs and get inspired. Thank you for including me. 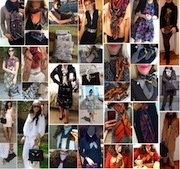 I love seeing how everyone wears their scarves. 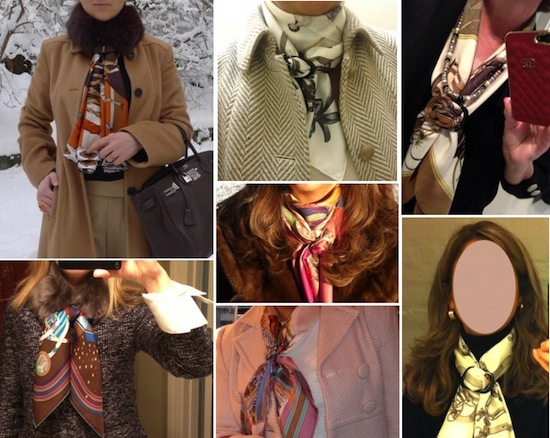 I just love seeing how other women put themselves together and tie their scarves. Thank you for putting together another wonderful collage and for including me. And thanks to the other ladies for sharing their style! It's a really fantastic job to show us all these ladies knotting in their own way under a great great collage dear Mai Tai. Sublime. Thank you and it's a joy to see the interest you do create to all. Merci, ma chere! Another lovely collection of MaiTai in action. And wow! 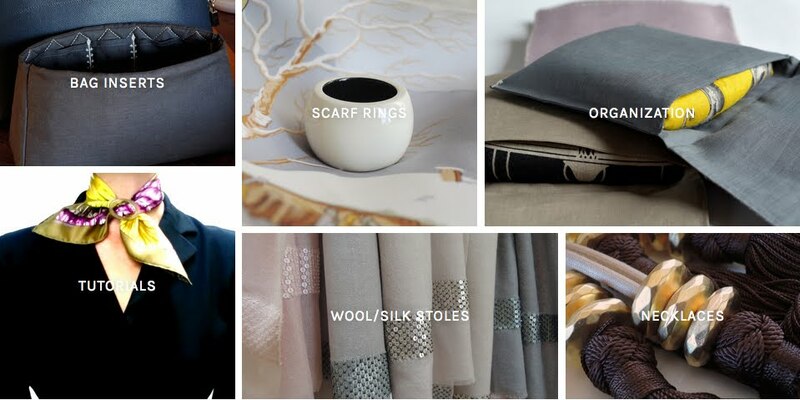 There are some beautiful scarves featured with your rings. 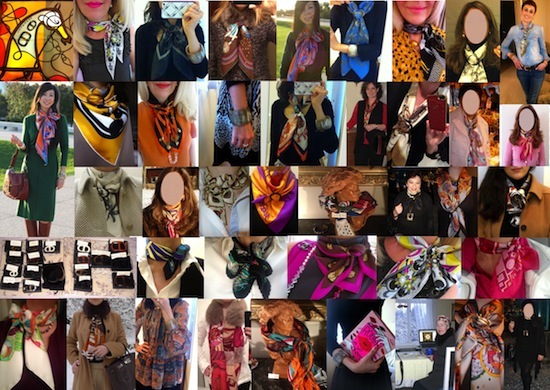 just dreaming: how nice it would be to have you all at, let's say, my birthday party, at which you, my dear guests, would give me your accessories (scarves, bracelets, scarf rings) as my birthday presents! I would not reject a single item and would carefully treasure them. 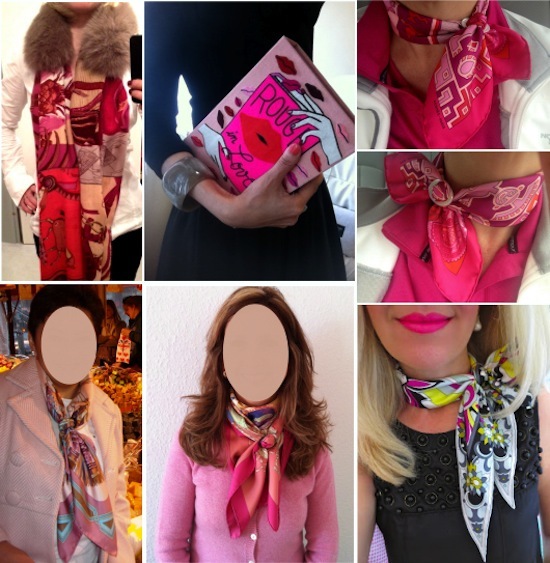 All the ladies look wonderfull with their scarves and MaiTai accessories. Maybe I can send in a pic with my scarf ring and horn bracelet for the next one. I fully agree with you, dear Macs! To our lovely, charming, stylish and most beautiful hostess! 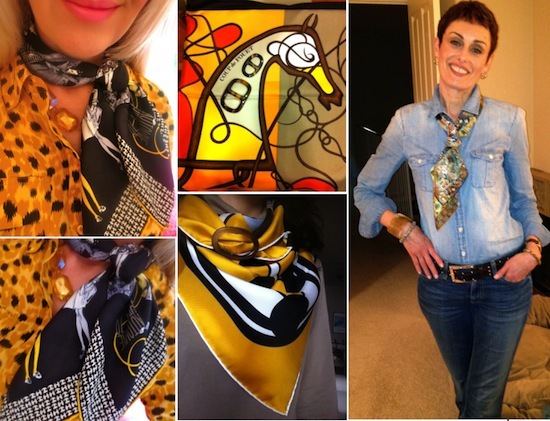 How lucky we all are to have Hermes and you as a common tie!